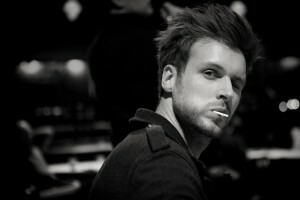 Thomas Esch, born 1988 in Bonn, is a drummer and percussionist based in Cologne, Germany. At age 6 he began learning the drums in the local music school with several teachers, including Dimitri Chrissomallis. Throughout his teens he played in various bands, big bands and orchestras and won the national Big Band competition „Jupiter Wind Cup“ and the much acclaimed WDR Jazz Award with the Brühl Music School Big Band (Elmar Frey, conductor). In 2008, he attended the prestigious HfMT Köln where he earned a degree in Jazz Drums and Percussion under the tutelage of Michael Küttner, Alex Vesper, Jonas Burgwinkel and Alfonso Garrido. He has been fortunate enough to have performed with many great musicians including Matt Brewer, Joe Sanders, Matt Mitchell, Stefano Battaglia, Kenny Wesley, Kris Bowers, Bruno Müller, Martin Gjakonovski, Andy Haderer, Matthias Bergmann, Claudius Valk, Pablo Held and Heiner Wiberny. His performances have spanned the globe from China, to Tunisia, Lebanon, Poland, BeNeLux, Italy, France, Austria and extensively throughout Germany. Known for his versatility, Thomas tends to instantaneously pull from his various musical experiences and heroes in the jazz, hip hop, soul, latin and world music idioms to create his own singular approach to playing the drums in lieu of locking himself into one specific school of playing. Thomas is an active recording artist and appears on numerous projects. The CDs „Urban Poems“ (Stephan Becker Trio) and „Klangbild“ (The Keys Project) were both presented as CD of the Week by NDR and DF Public Radio stations in 2013. Working extensively with Stefan Rey (bass) and Constantin Krahmer (piano) as a unit, together they have become a highly sought-after session band for various artists including Esja 4, Filán, and the Leverkusener Jazztage 2015 „Future Sound“ Competition finalists Mischa Vernov Quartet.